A man refuses to conform to life in a rural prison. Panasonic TC-P60VT60 60-Inch 1080p 600Hz 3D Smart Plasma HDTV; Sony STR-DG1200 7.1 Channel Receiver; Panasonic DMP-BD60K Blu-Ray Player using HDMI outputs; Michael Green Revolution Cinema 6i Speakers (all five); Kenwood 1050SW 150-watt Subwoofer. For vintage Paul Newman, we head to 1967’s Cool Hand Luke. Newman plays Lucas Jackson, a ne’er-do-well who ends up on a prison chain gang after a drunken escapade leads him to lop the tops off parking meters. Captain (Strother Martin) runs the camp with a heavy hand; virtually any transgression sends the inmate to “the box”, a severe method of solitary confinement. Lucas immediately shows his rebellious nature as he gets to know the other inmates. He stays aloof from them but eventually earns their respect due to his refusal to back down from a situation, and his extreme poker face earns him the nickname “Cool Hand Luke” from inmate leader Dragline (George Kennedy). We follow Luke’s life in the camp and his peculiar adventures. At first, Luke seems aimlessly rebellious; after all, he becomes imprisoned for the pointless amusement that comes from his parking meter decapitation spree. As the film progresses, though, we see more of a purpose, though not a positive one. Luke seems relentlessly self-destructive. He appears to act due to self-loathing, not because of a thoughtful assault on authority. After I watched Luke, I checked out some reviews because I was curious to see other interpretations. Most that I found saw Luke as an inspirational anti-authority figure and a Christ figure. Maybe I’m off base, but I don’t agree with the view that we’re supposed to interpret Luke in that way. To be sure, the flick wants us to observe the Biblical parallels. Heck, after Luke downs 50 hard-boiled eggs in an hour, he even strikes a pose obviously modeled after Jesus on the cross. Other similarities occur as well, so I can understand the Christ comparisons. However, I don’t think Luke is that simple. In fact, I view it as more of a parody of the Christ story, not a basic adaptation of it. For one, Luke isn’t exactly an admirable figure. Where some see him as a free spirit who challenges mindless authority, I view him as a self-destructive loner with no real philosophy or purpose. When he inspires others, he does inadvertently, and he resists their adulation. To some degree, Luke can be seen as part of the anti-authoritarian trend of its era. The late 1960s fought against mindless obedience, and the flick reflects that. However, the anti-hero of Luke can come across as stupidly oppositional, as he performs actions that serve little purpose other than to harm himself. These indirectly inspire his cohorts, but they usually get caught in the crossfire as well. We see this when Dragline impulsively follows Luke on an adventure even though it seems unlikely to end well and will postpone his not-too-distant exit from prison. All of this makes Luke a complicated movie, partially because it includes almost literally no admirable characters. We find a selfish, self-loathing lead, sadistic jailers and hypocritical inmates. I don’t think we can empathize with any of them. Even though we feel the pain of the prisoners due to the excessive cruelty of their keepers, they blow our sympathy through their general idiocy. Luke himself tends to inspire pity more than admiration, and we get an excellent performance by Newman. He fleshes out Luke in a charismatic and mysterious manner that turns him into even more of an enigma. Normally a performance of this sort would accompany a heroic, inspirational character, but Luke is decidedly more complex than that. As is the film as a whole. Cool Hand Luke isn’t an easily accessible flick, largely due to the absence of clear plot or likable characters. Nonetheless, it creates an involving, thought-provoking piece, one that should hold up to repeated viewings. Cool Hand Luke appears in an aspect ratio of approximately 2.35:1 on this Blu-ray Disc. Not too many problems developed in this pleasing transfer. Sharpness appeared quite good most of the time. I noticed a little softness in some wide shots, but those instances remained minor. Instead, the movie demonstrated good clarity and delineation through the vast majority of its running time. No issues with jagged edges or moiré effects materialized, and I also thought edge enhancement seemed minimal; a few haloes cropped up but nothing massive. Source flaws weren’t an issue. A small speck or two showed up, but the transfer remained quite clean. Colors came across as fairly clear and acceptably full. The film tended toward a dry, brownish palette, and the disc reproduced this in a good manner. Within the photography style of the flick, there was only so much life that could come from the hues, so I thought they were fine within those constraints. Black levels looked deep and rich, while shadow detail appeared appropriately opaque but not excessively heavy. I thought the image was fairly satisfying given the movie’s stylistic choices. I found the film’s Dolby Digital monaural soundtrack to be acceptable. The audio seemed consistently decent but unexceptional. Dialogue was a bit thin and flat but sounded easily intelligible and articulate. Music was fairly bright and clear and also boasted some modest low end at times. Effects generally came across and accurate and crisp. I found the soundtrack of Luke to provide a presentation typical of the era. How did the Blu-ray compare to the 2008 “Deluxe Edition” DVD? Audio appeared identical, as the Blu-ray provided the same lossy Dolby Digital 1.0 track found on the DVD. Given that they both came out on the same day in 2008, I strongly suspect the Blu-ray and the DVD used the same transfer, so that meant any changes came solely from the superior capabilities of Blu-ray. These led to improved delineation and color reproduction. They Blu-ray worked well and marked a step up compared to the DVD. The Blu-ray duplicates the 2008 DVD’s extras, and first we find an audio commentary from film historian Eric Lax. He provides a running, screen-specific track that examines the source novel and its adaptation, cast and crew, sets and locations, story, themes and interpretation, score and cinematography, and some production tales. Lax provides an erratic commentary that improves as it progresses. During the early parts, he tends to narrate the film at times, and some dead air mars the proceedings. However, he discusses the movie in a stronger manner as it goes, so we find better insights during the flick’s second half. We still encounter lulls, but Lax turns this into a reasonably informative piece by the end. 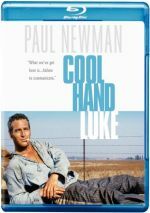 In addition to the film’s trailer, we find a new documentary called A Natural-Born World-Shaker: Making Cool Hand Luke. In this 28-minute, 46-second show, we hear from Lax, director Stuart Rosenberg, writer Frank R. Pierson, novelist Donn Pearce, assistant director Hank Moonbeam, composer Lalo Schifrin, and actors Ralph Waite, George Kennedy, Clifton James, Lou Antonio, Anthony Zerbe, and Joy Harmon. 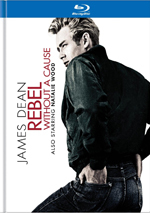 The program looks at the novel’s path to the big screen, how Rosenberg came onto the project, some story and thematic notes, cast, characters and performances, some scene specifics, music and cinematography, the movie’s reception and its legacy. “World-Shaker” offers a pretty good complement to the commentary. A few of the some notes appear here, but we learn plenty of new facts about the film’s creation. Of course, the absence of Paul Newman disappoints, but this becomes a useful program nonetheless. Cool Hand Luke isn’t just a film with an anti-hero: it’s pretty much anti-everything. This is a movie packed with dysfunctional, flawed characters – and it’s darned fascinating due to those choices. The Blu-ray features very good picture, era-appropriate audio, and a few informative extras. Luke remains an excellent movie, and this Blu-ray presents it well.